Single story home in the community of Jazzy Town in San Miguel. This home offers an open floor plan with a large living area, separate dining area, spacious kitchen with an island. Master bedroom on opposite side of the other 2 bedrooms. The laundry is located inside the 2-car garage. The kitchen offers wood cabinetry, granite counter tops, self-closing cabinets and drawers, and stainless-steel appliances. Engineered flooring covers the kitchen and dining room floors. Rubbed bronze fixtures in the kitchen and bathrooms. Drought tolerant landscaping in the front yard and concrete and artificial grass in the backyard. 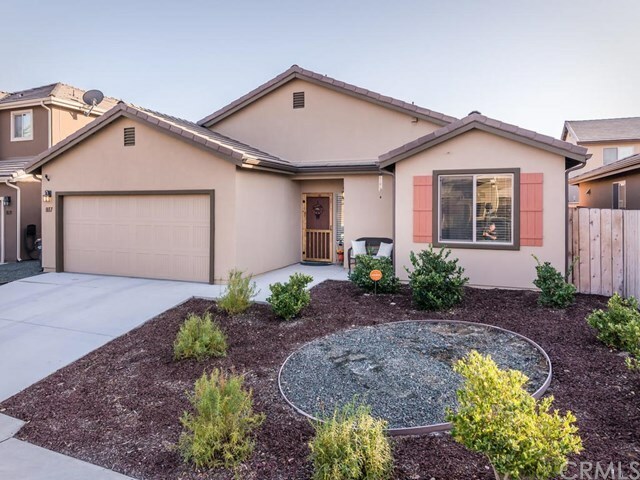 This home is in the highly sought-after family-oriented community of Jazzy Town.